Grayquill Musings: Grayquill going VEGAN? A fun post as always! 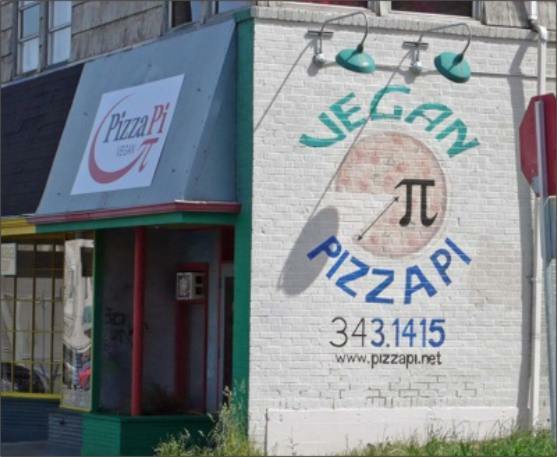 I haven't tried vegan pizza, but I'm certainly not opposed to it -- just don't go out much these days! Hope your Christmas season is off to a good start! Enjoy your week! Your nephew should be pleased with the kind review of his restaurant's food...maybe not so much with the review of his attire. :) I've had "veggie" pizza and liked it, but no vegan yet. Like Sylvia K, though, I wouldn't be opposed to it. I think that's the difference between (most of) us and (most of) them. It was so great to have you guys here. Just so you know, I was all ready to bring out 3 slices of pumpkin pie, without being asked, when Trav came back and said you all just wanted one! A couple of years ago, while we were visiting my daughter and son-in-law, they ordered pizza, and one was a veggie. I was having none of that until my daughter urged me to taste her slice. It was great! I couldn't wait to order another one on another night. It was a Papa John's take and bake. I learn from my kids all the time. Wow gr8 2 know u liked that pizza. And I am gonna hunt here for the Vegan type ! Oooooooooh, my lil' sis' and her family would LOVE this place, they are all vegan! Good on you for being open to try something new, and it sure sounds to have surprised you, too (grin). What a sweet post, you always have me leaving with a smile. My family are all strict carnavores, and every year I host the Christmas dinner - it takes a lot of creative thinking to serve up two completely different menus, I can tell you..! First, I love the way you support your family..but am not surprised by it. Is there a difference between a Vegan pizza and a veggie pizza? I admit to be totally ignorant aobut the subject, with pepperoni being one of my favorite foods, I havn't put much effort to learn. also, is it somothered in cheese? another favorite. OK it's time to teach this old gal a few new tricks..I'd be willing to try one too. As for the clothes the youth wear... someboday make them pull their pants up! Vegan pizza..... I love my veges, but I must admit I love my meat better. Our mom taught us to eat our veges, and my brothers are even bigger than me because I was sent to boarding school where the food sucked. Love your veges, but never forget the meat! They couldn't ask for a better review than from a reluctant, curmudgeony meat-eater. I very often eat vegetarian pizza but can't say I have had vegan. Something new to try. You dropped your mom and dad off! This means they're still alive, I hope. You'll have to pardon me because your "grayness" led me to assume that they weren't. I sometimes wonder if I could be a vegan, but I've only made it as far as piscatarianism (not to be confused with Unitarianism or Episcopalianism). Good for you to be a standup uncle and try something new. Never have gotten far from the Beef myself. Sometimes healthy food is surprisingly tasty. That was nice of you to support the new establishment, even if it wasn't exactly the kind of place you'd ordinarily go to. Sounds like a fun food adventure. WOW, what a great venture (and adventure)! Vegan is so good for so many reasons! I'm not a vegan, or even a vegetarian, yet...but I really admire that lifestyle and hope your nephew and his bride will have tons of customers! Well I think you are truly supportive. Now how about leaving a few copies of your book around the shop? Then it would be mutual support. But maybe they already do that?